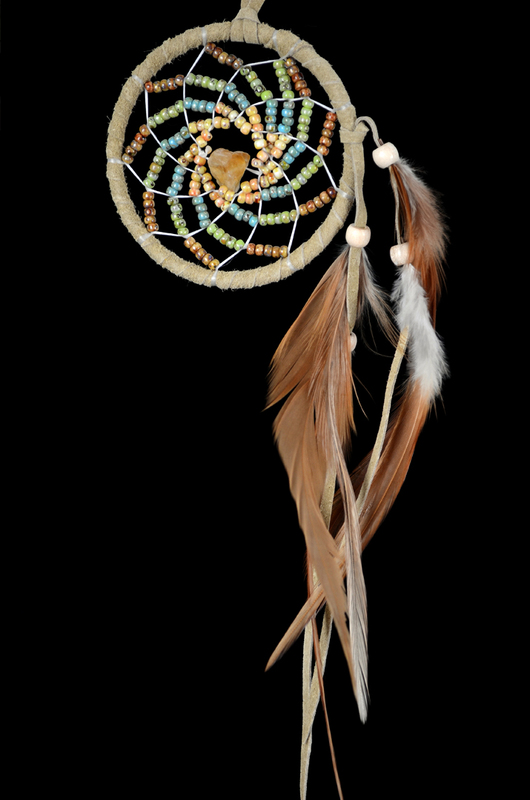 This beautiful Dream Catcher features a 2.5 inch (6 cm) wide hoop wrapped in quality tan leather and has an overall hanging length of approximately 7 inches (18cm) . 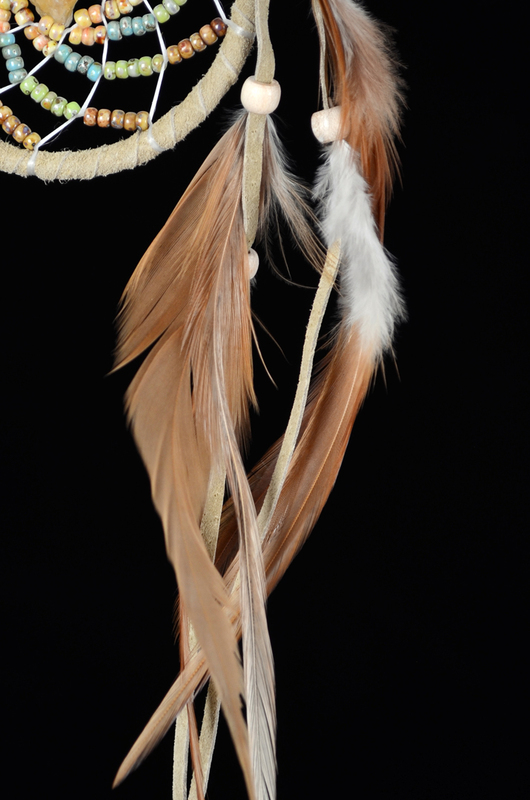 Wooden beads adorn the leather dangles that hold the flowing feathers that hang from the side. Beautiful Picasso Beads form a spiral pattern in the webbing. 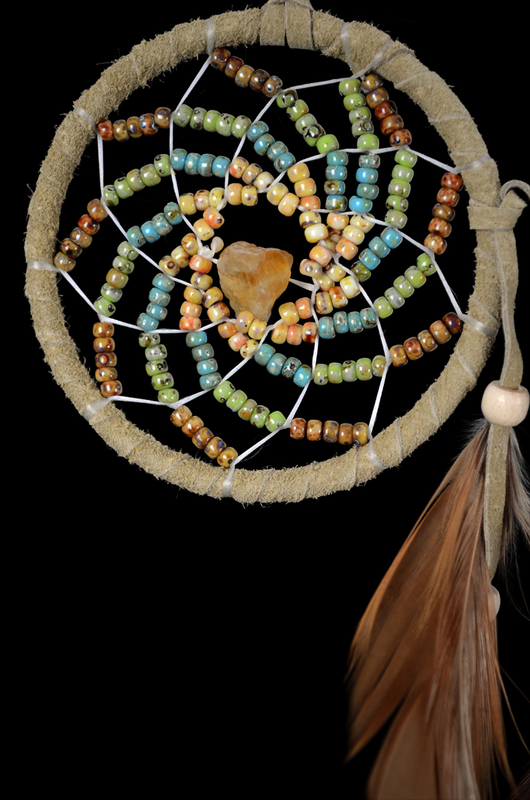 and a unique piece of natural Tiger's Eye semi-precious stone is featured in the center of the webbing.